With the complexity of the modern RV comes a need for a fair amount of maintenance to keep it running smoothly and safely. 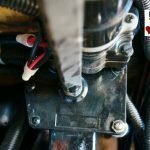 Below you will find my personal Fifth Wheel RV Maintenance list. No RVers list will be the same as there are many variables that go into what needs done and when. 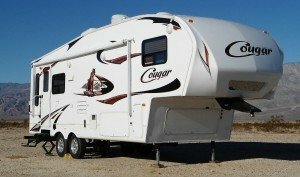 My list is based on owning a fifth wheel trailer and using it pretty much full-time. Many things can influence how often things need to be checked. So having said that here is what works for me. Brakes – every 6 months to one year pull the wheels and clean and inspect the brake pads and drums. Replace parts if worn. Make sure the electric brake wiring is in good shape and not rubbing on anything. Wheel Bearings – every year or 12,000 miles clean, inspect, repack the bearings and install new seals. Inspect tires and rims for any cracks or defects before any trip. 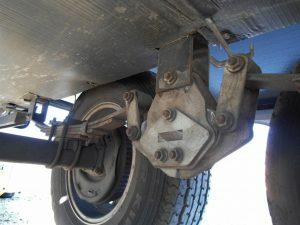 Have a look at the suspension and axles before every trip and every few months check for correct torque settings on nuts and bolts. Before every trip check torque setting on wheel lug nuts. Before every trip check for proper tire inflation. TEKTON 2445 1/2-Inch Drive Click Torque Wrench, 25-250 Ft./Lb. Batteries – Once a month check connections for corrosion, clean and adjust if needed. If using wet cell type top up with distilled water. Check full charge voltage, should be 12.6 – 12.8 volts. Wiring – Every six months inspect all visible connections for corrosion or loose wires. Converter – Once a year pull out converter and inspect connectors, fuses and breakers. 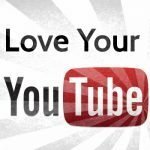 Make sure there is no corrosion, loose connectors or overheated wires. Fans – Any electrical appliance fans should be inspected and cleaned every 6 –12 months. You’ll likely find them in the converter, refrigerator, stove hood, inverter, etc. AC plugs – Acquire a AC Plug tester and check all the plugs for proper operation. Lighting – Every year, dissemble , clean and check bulb connectors for any sign of overheated connectors. Replace fixture if needed. Every six months lubricate TV Antenna hardware. Before every trip check signal, brake and marker lights for proper operation. Check pipes and fixtures for evidence of leaks as much as possible, a leak stopped early can save thousands. 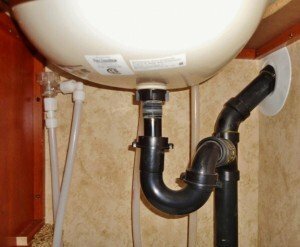 Give the waste tanks a good flushing every few weeks. Every couple of months pour a half cup of bleach into the fresh water tank, fill , let sit a day and run it through the lines. Once a year clean and re-lube fifth wheel hitch. Check vinyl lube plate condition. Check torque and tighten if needed all nuts and bolts. 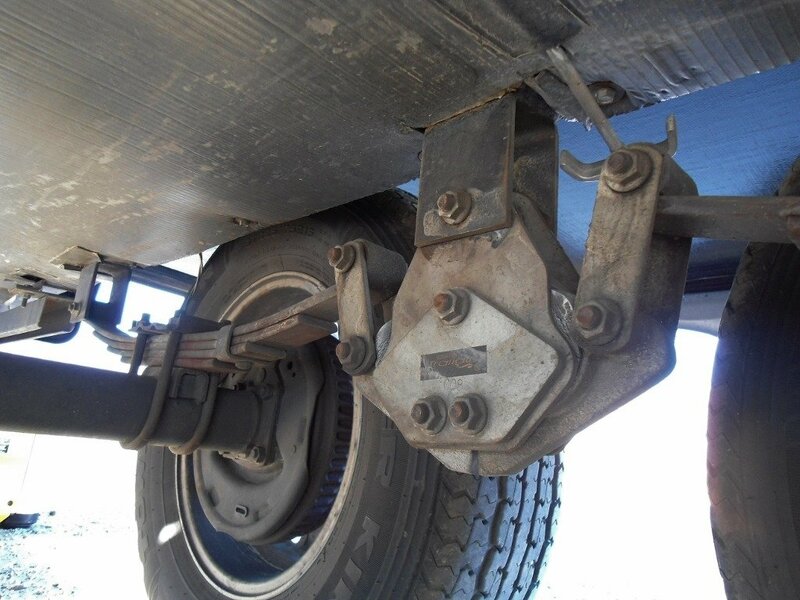 Check condition and operation of emergency brake away cable. Check torque on king pin bolts once a year. Once a year steam clean carpets and furniture upholstery,valances,etc. Every few months vacuum out furnace ducts and inside furnace. Apply furniture polish to wood cabinets every 6 months. Every month check condition of all screws and repair anything coming loose. 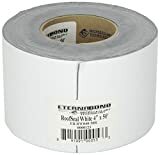 Lubricate door hinges and drawer hardware as needed. Check condition of blind hardware and replace worn strings as needed. Vacuum out AC vents and clean filter once a month. 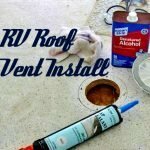 Clean oven and wash stove vent filter every 3 months. Clean out and defrost refrigerator every 3 months. Roof – every 6 months check all seals around vents, air conditioner, TV antenna, ladder hardware, and rubber roof seams. Add new sealant if needed. 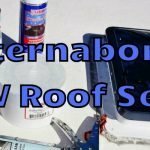 Rubber Roof – Wash every 6 months with Dawn dish washing detergent and a soft bristle brush. Windows – inspect seal around windows and clean rubber seals on window slides. Check all wall seams for decay in the sealant and around storage doors, marker lights and appliance panels. Clean and treat slide rubber seals every six months. Lubricate door hinges, jacks, entry steps, slide rails,etc. as needed. Every six months pull AC and Refrigerator covers and clean out any dust and debris. Every few months crawl under and inspect frame rails for signs of corrosion or cracking. Check pull out bicycle carrier before every trip. Every month check propane lines and hardware for possible damage or leaks. Check, clean and lubricate awning every six months. 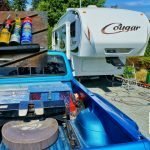 There you have it, my Fifth Wheel RV Maintenance list. 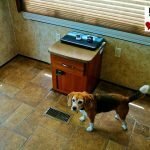 Hopefully if your new to RVing you picked up some information and if you’re a seasoned RVer you may add some advice in the comment section.